Chris Bair is a computer geek and SalesForce.com system administrator for his "day job". He became involved in the powdered foods (aka "soylent") movement in January 2014, originally with a conventional recipe and later switching to a high fat, low carb "ketogenic" variant on October 2014. 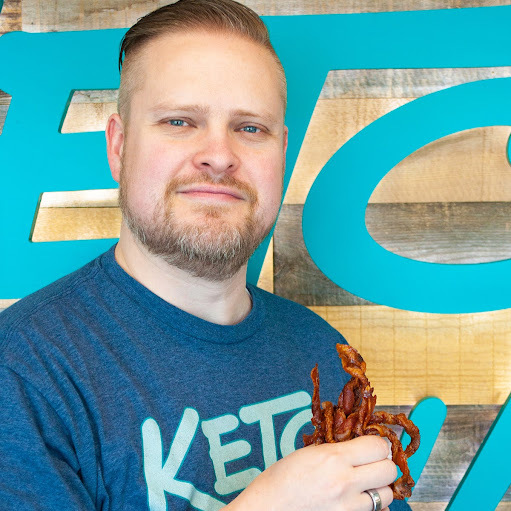 In January 2015 he created the recipe for Keto Chow and released it without restriction for anyone to use, at the same time he began mixing the recipe up for people that wanted a finished product and has seen steady growth in the business every month since. Conversely since starting Keto, he has added 6 new holes to his belt and recently bought a far smaller belt. He has also eaten far more bacon and cheese than in all his previous years combined trying to avoid fat but still slowly gaining weight. Chris has lived in Utah for most of his life, except for a few years living in Chile where he learned Castillian. Chris and his wife have two sets of twins with a couple singltons thrown in for good measure.